Let the fun begin in our posh limousines! Heading to a party in an ordinary car will kill your vibe and make you look un-appealing. Choose one of the luxurious limousines from our Tampa Airport Car Services fleet and make an incredible entrance at any event or party. Our latest model limousines are fancy and grand at the same time. When you arrive at a party in our limousine driven by a professional chauffeur, you will definitely become the center of attention. Get in the mood to dance and travel in our high-end Tampa limo service! Feel like partying all day and all night with friends? Scroll through our fleet on our website and select a vehicle that you desire. From fancy Car Service Tampa to highly accommodating buses, we have any car that you ever imagined. So, if you always dreamed of travelling in a vehicle that is lush and comfortable, it is time to make it a reality. Our Tampa limousine rental is one of the most reliable in town. 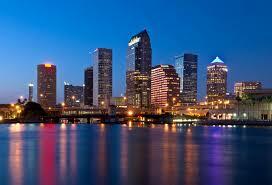 We, Tampa Car Service also have a range of corporate cars for business travels. So, if you have to attend a meeting with fellow workers, we have just the right vehicle for you. Our Tampa Bus Rental Service is Available 24/7! Have your car service bailed out at the last minute and you are left with no option? Well, save our number in your phone because we never fail to entertain our customers. Our Tampa Bay Airport Service and Tampa Town Car Service is available throughout the year, even during the holidays. If you want to head home after a late night party, you can count on us for safe and reliable Tampa Airport Car. Reserve your choice of Tampa Bay Airport Service and Tampa Town Car Service today and let us turn your journey around!